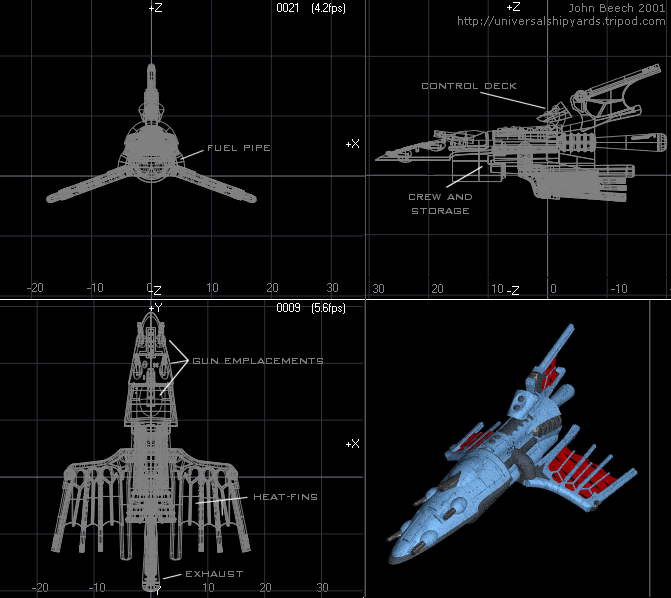 This section of USy is for space graphics of interest and style. 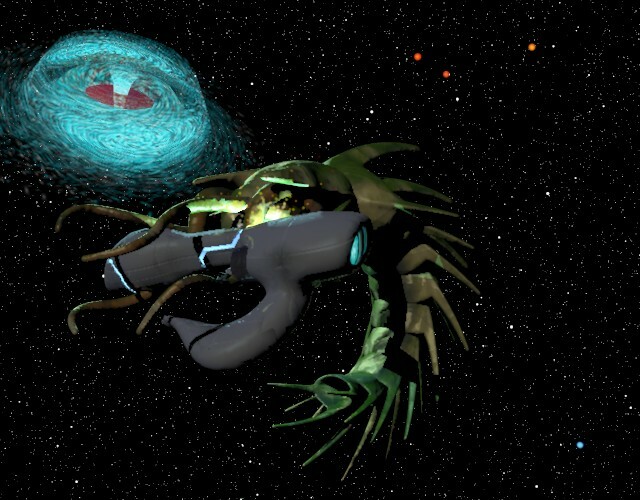 Made by TauCeti Deichmann using Organica and Imagine, with post processing in Corel based off two separate renders. 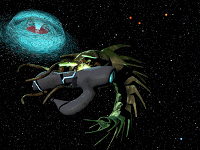 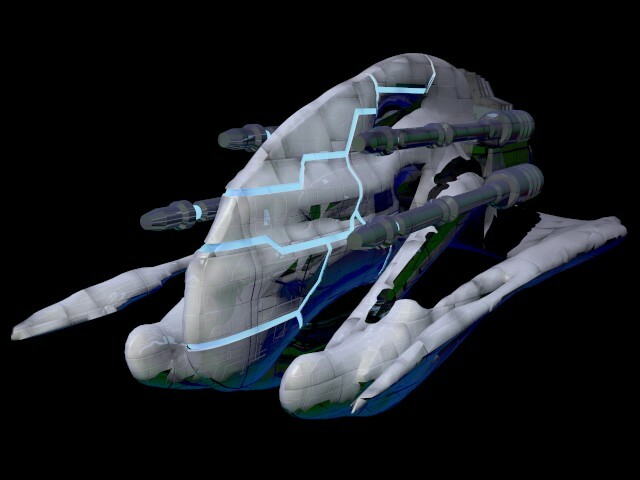 The Etheirian's are described as "perfect pacifists", although being "extremely ruthless and conniving", using advanced technology to acheive their own ends. 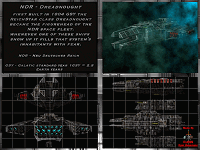 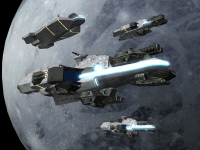 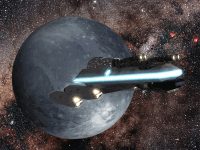 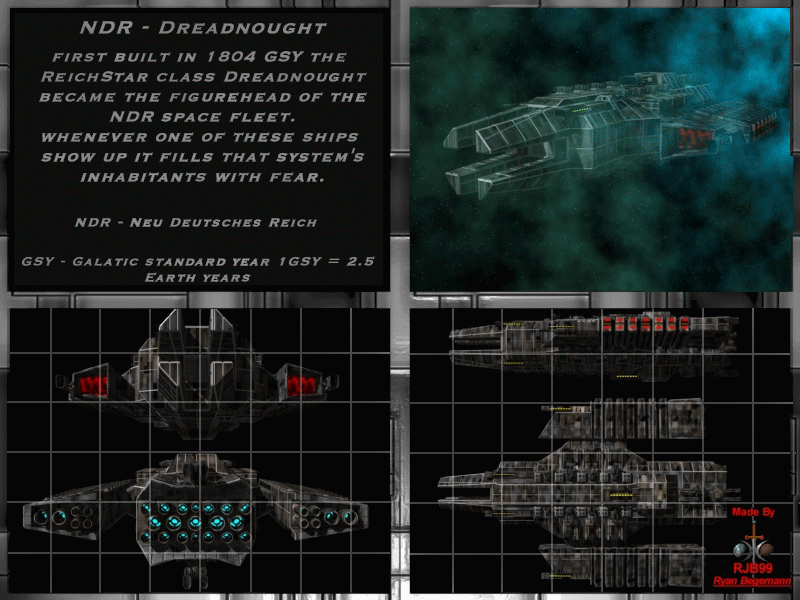 The ship below is a large render of the Heavy Dreadnought, available in TauCeti's NeoStandard SE4 fleet. 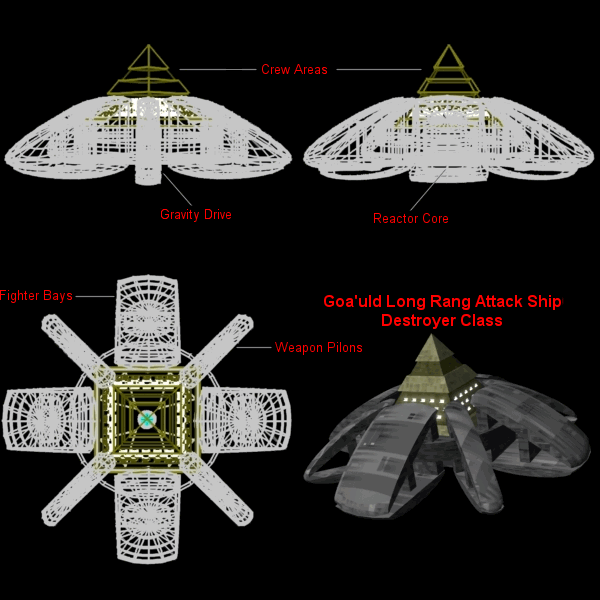 "The destruction of the Effulgent Enlightenment, and our first contact with anything outside our home-moon. 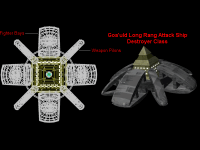 An unfortunate event with far reaching philosophical and political repercussions." 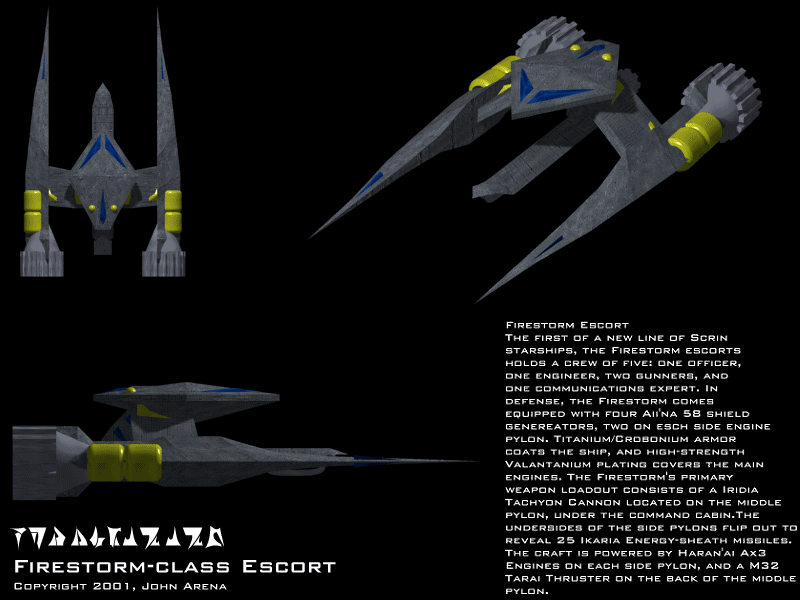 Made by TerranC in DoGA using various predseigned sections. 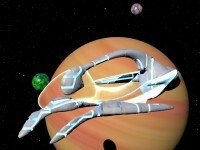 Made by myself.. featuring the new 3D model versions of the Tylmai destined for use in SEV and SF. 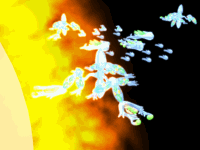 Tylmai ships gather near a sun. Battleships and Destroyers refuel at orbiting Battle Stations while a fleet led by a Dreadnought and two Heavy Carriers pass through on border patrol. 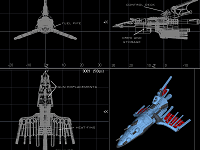 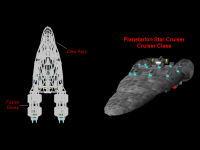 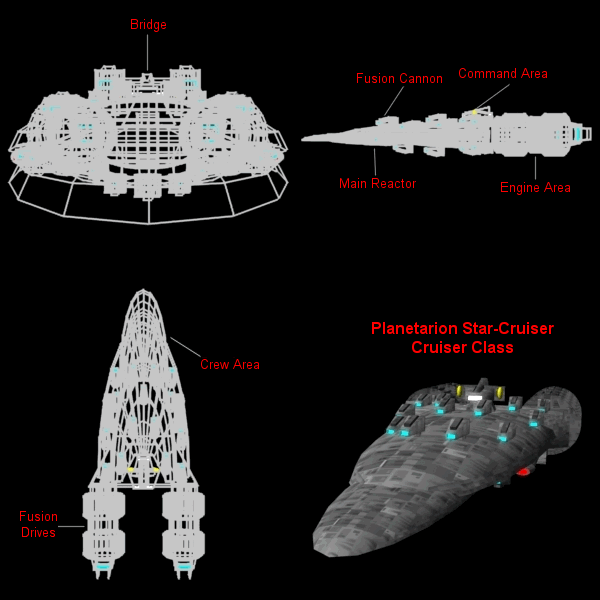 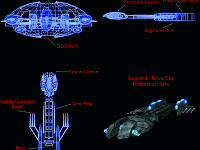 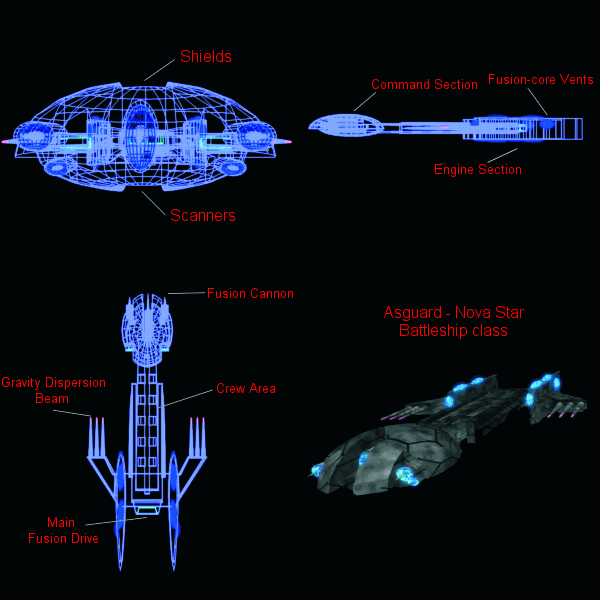 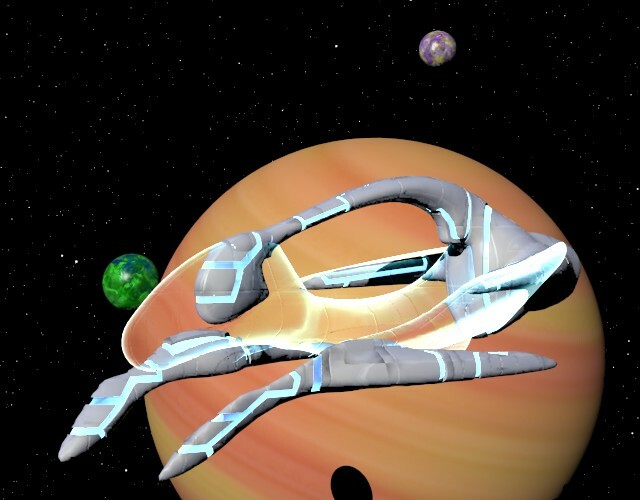 Below are a set of different ship schematics made by various authors.